God's Word Alone: Audio Lectures | Matthew Barrett | Audiobook Download - Christian audiobooks. Try us free. Historians and theologians alike have long recognized that at the heart of the 16th-century Protestant Reformation were five declarations (or solas) that distinguished the movement from other expressions of the Christian faith. 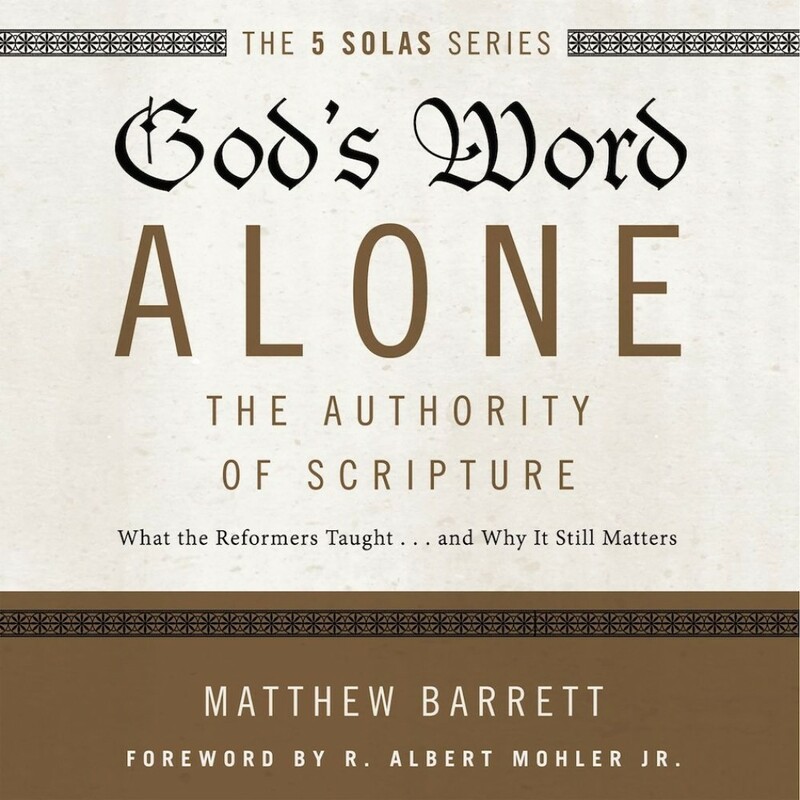 In God's Word Alone: Audio Lectures, together with accompanying book God's Word Alone, scholar and professor Matthew Barrett explores the historical and biblical roots of the doctrine that Scripture alone is the final and decisive authority for God's people. Sessions explain the development of this theme in the Reformation and trace the crisis that followed, resulting in a shift away from the authority of Scripture. Each session shows the need to recover a robust doctrine of Scripture's authority in the face of today's challenges and why a solid doctrinal foundation built on God's Word is the best hope for the future of the church. God's Word Alone: Audio Lectures is accessible to a variety of audiences - college and seminary students, pastors, lay learners, and anyone interested in learning about the authority of God's Word.